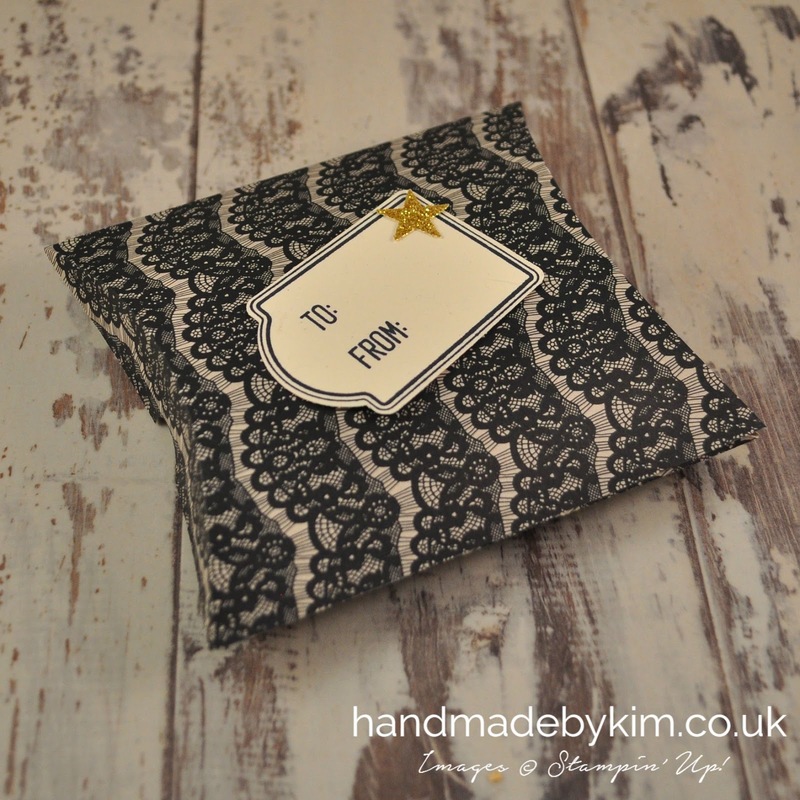 In the last 2 weeks I've showcased 7 different projects featuring the beautiful Timeless Elegance Designer Series Paper - the series has included a Stationery Tin, Thank You Card, Gift Bags, Wedding Card, Bag in a Box, Congratulations Card and to complete the series today we have a set of Pillow Boxes. In the Autumn Winter catalogue there is a brand new die called the Square Pillow Box Thinlits Dies. You just run it through your big shot with some designer series paper and using your scoring tool and some adhesive, you have a gift box that's perfect to hold some chocolates, jewellery or even a gift card. I've kept the design quite simple and stamped a tag using the Merry Everything stamp set onto Very Vanilla cardstock in Basic Black Archival Ink. 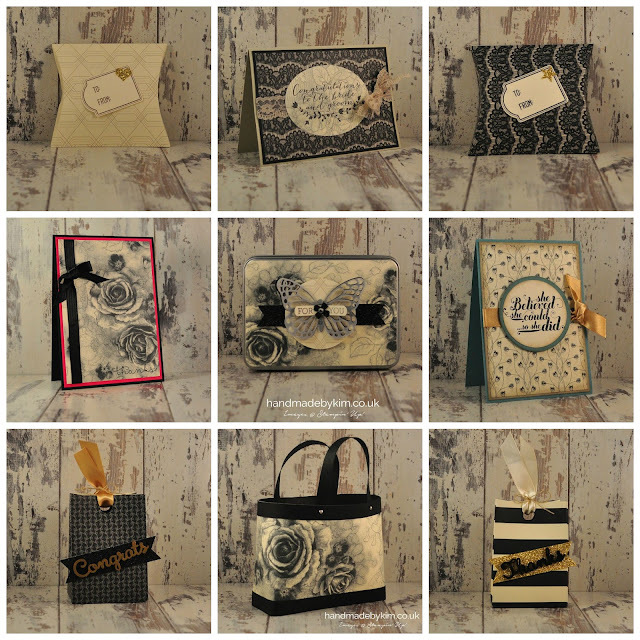 I have used the coordinating Note Tag punch to punch it out and added it to the Pillow Box with some Stampin' Dimensionals. You can buy the Merry Everything stamp set and Note Tag Punch in a bundle where you save 15%. For £26.25 plus P&P you get 5 stamps that can be used for Birthdays, Christmas & Halloween. This set is useful to make tags in super quick time, perfect when making multiple tags for Christmas presents. To finish off the design, continuing with the simple theme, I added a small star / small heart punched out of Gold Glimmer paper using the Itty Bitty Accents punches. I think its just what it needed without being too fussy. 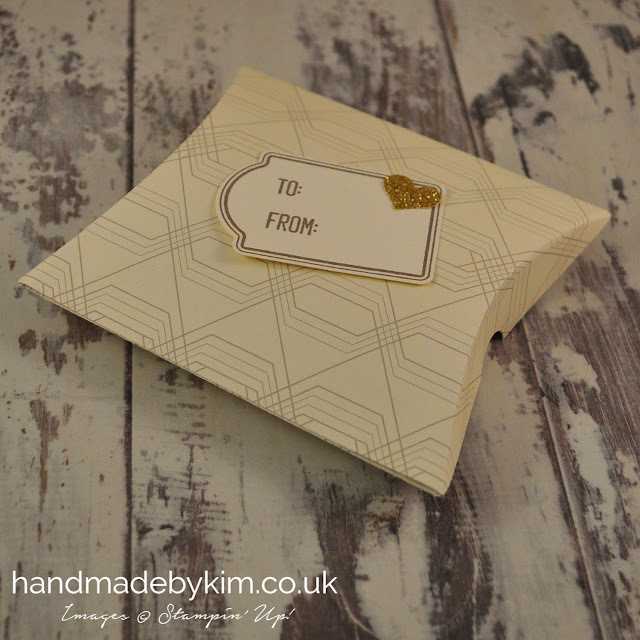 I really hope you've enjoyed my series featuring the gorgeous Timeless Elegance Designer Series Paper. 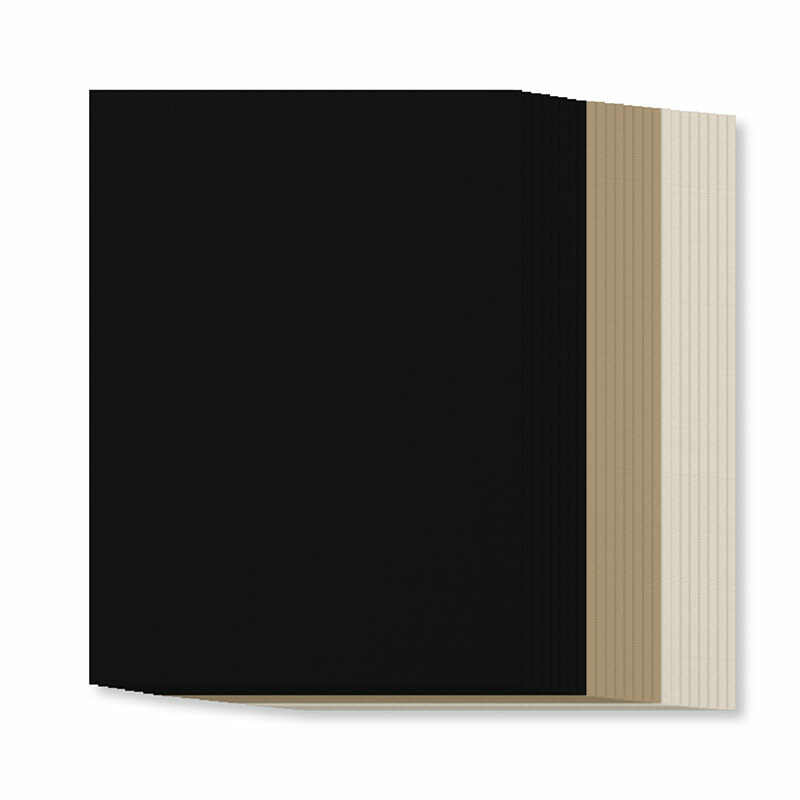 This paper is so elegant and it can be dressed up or down to suit your project. 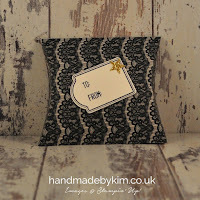 You can order a pack of the Timeless Elegance Designer Series Paper from my online shop today for just £10.00 plus P&P. Just click on the picture below in the supplies list. There is also a handy pack of coordinating cardstock which contains 24 sheets - 8 A4 sheets of Basic Black, 8 A4 sheets of Sahara Sand and 8 A4 sheets of Very Vanilla. It only costs £6.50! If you would like to add this to your order, simply search Timeless Elegance A4 Cardstock Assortment Pack (code 139019) in my online shop. 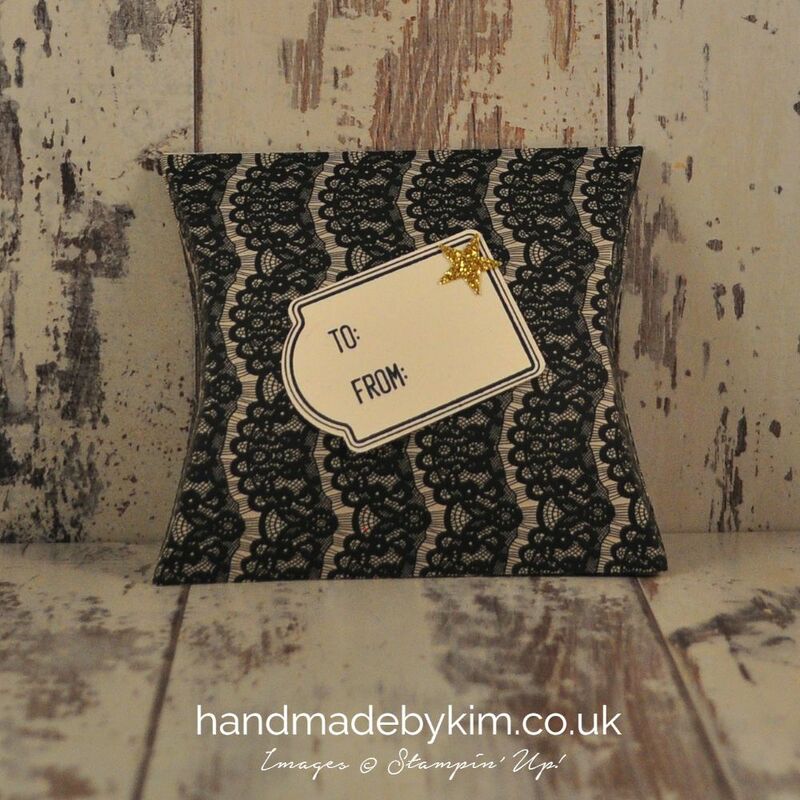 If you would like to place an order, please visit my online shop or get in touch with me by email - info@handmadebykim.co.uk.